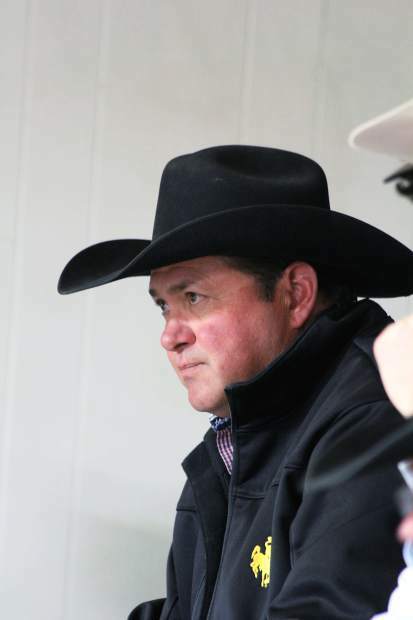 Ty Nicholls, purchased several Durbin Creek Ranch for Nicholls Ranch, Kinnear, Wyoming. This was an excellent set of two year old bulls. I like that they are grown out and not over fed. The feeding regimen makes for excellent, sound feet and legs. The cows are wintered on forage and are expected to pull their own weight year in and year out. 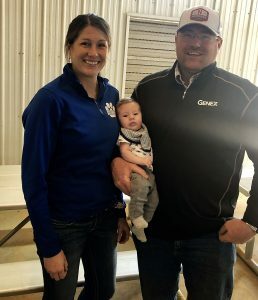 This clan is a good example of the benefit of family agriculture operations. Each member plays an intrigal role in the place, working hard and getting the job done. And to top it off, it is hard not to enjoy a delicious hamburger on a beautiful sunny day. Top selling bull was lot 1, DCR 713 Kootenay 429, an April, 2014 son of DCR Koot 713 with EPDs of BW 2.5 WW 48 YW 86 Milk 18 M&G 42 sold to Streamline Genetics, from Indiana, for $27,500. Selling at $9,000 was lot 32, DCR 106 Equity 407, an April 2014 son of DCR 7006 Equity 106, with EPDs of BW 5.3 WW 47 YW 82 Milk 15 M&G 39. Diamond E Properties LLC, Thermopolis, Wyoming was the buyer. 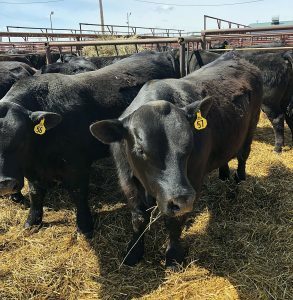 Lot 58 also sold for $9,000 to Pam Holland, Worland, Wyoming. DCR 453Y Unlimited 459 is an Apr. 2014 son of TH 43P 719 T Victor 453Y with EPDs of BW 2.1 WW 50 YW 81 Milk 19 M&G 44. Stand Ranch, Geyser, Montana, purchased lot 3, DCR 713 Kootenay 484 for $8,750. This April 2014 son of DCR Koot 713 has EPDs of BW 2.3 WW 51 YW 89 Milk 17 M&G 43. WW 52 YW 89 Milk 13 M&G 39 sold to Brewster Ranch LP, Ten Sleep, Wyoming for $8,250. 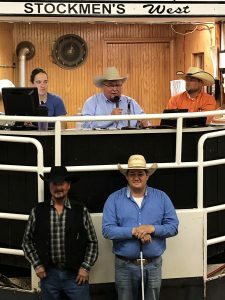 Two bulls sold at $7,500 each. Lot 59, DCR Legend 406 is a May 2014 son of TW Hercules that sold to Cross Lazy Two Land and Livestock, Big Piney, Wyoming. The top selling horse on the day was lot 5A DCR Silver Badger, a 2013 Gruella gelding sired by TKM Kusterwood X Ciderwood and out of a LZM Brown Conchos bred mare. This gelding was started very nicely with about 65 days riding by sale day. He has pasture roped big yearlings and been used to work colts. This nice gentle gelding sold to Laura Leaf Livestock, Kaycee, Wyoming, for $6,000. Brothers Jake and Wyatt Agar, the young guns taking up the reigns at Durbin Creek Ranch. 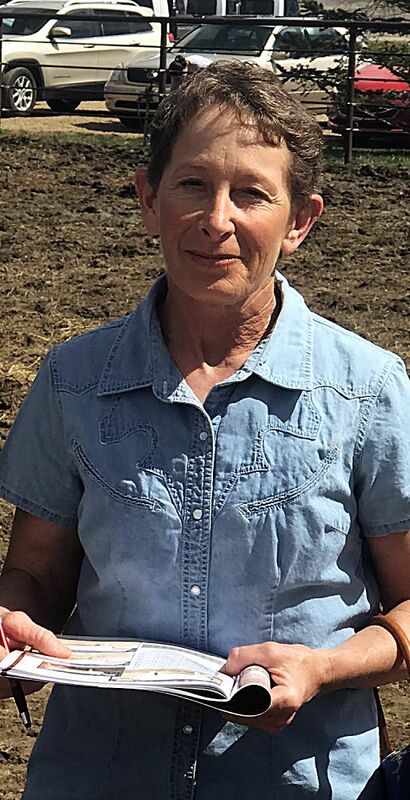 Ty Nicholls, purchased several Durbin Creek Ranch for Nicholls Ranch, Kinnear, Wyoming,. 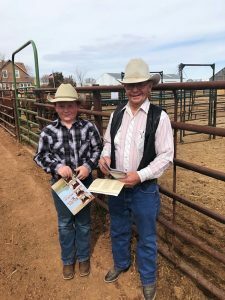 Will Jorgensen, Buffalo, Wyoming, purchased bulls for 3 Bar Ranch, Inc.